One of the tricky parts about creating a character in Warcraft is the subject of age — just how old should your character feasibly be? How old is too old — and how young is too young? Where would their life match up with the history of Warcraft‘s timeline? What events would your character be at least somewhat familiar with, and which ones would they have lived through? Unfortunately, we don’t have an exact age chart for life spans in Warcraft. The closest thing we do have is the Warcraft RPG guides, which were removed from canon several years ago. While you are, of course, free to come up with your own age and aging headcanon if you like, I’ll be using the RPG guides as a vague rule of thumb in this series — mainly because we have no other source to pull from. For Warcraft elves, the timeline is particularly convoluted, mainly because there is so much history elven characters may have potentially lived through, and a lot of that history remains undefined. You can solve that problem by making a younger elf, but then again, having a gigantic blank space of time to fill in with whatever life events your heart desires isn’t exactly a bad thing. First though, you have to determine which kind of elf you’re roleplaying — Warcraft has four distinct types of elves. Night Elves The night elves, or kaldorei, have been around for thousands upon thousands of years. 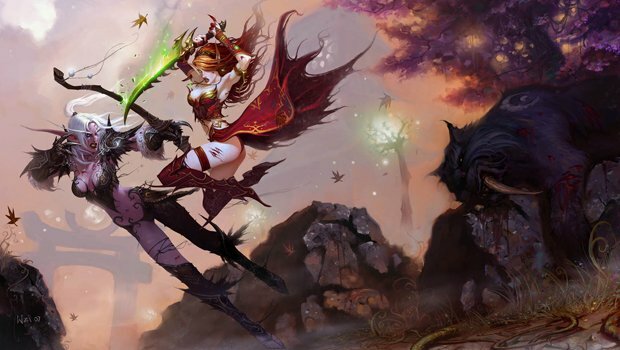 These are the night elves that currently exist in game. Highborne The Highborne are a branch of night elves. These guys were originally followers of Queen Azshara back in the day — her chosen ones, those who were really, really adept with arcane magic. Though most Highborne sank with Azshara into the seas during the Sundering, some survived. The Shen’dralar are a branch of these Highborne that were left behind and settled in Eldre’Thalas — Dire Maul — and remained there until recently. When the Cataclysm came about, these Highborne traveled to the night elves in Darnassus and eventually rejoined kaldorei society. Typically, the Highborne are night elf mages. High Elves There were also a sect of Highborne that remained with the night elves after the Sundering. They were banished from Kalimdor for their practice of arcane magic, and settled on the shores of the Eastern Kingdoms. Over time, they shrank, their skin lightening, eyes taking on a shade of blue, and physically altering into another species altogether — the quel’dorei, or high elves. Blood Elves During the Third War, the Scourge attacked the high elves and the forests of Quel’Thalas, wiping out around 80% of the high elf population and leaving the survivors to pick up the remnants of their society and move on. Prince Kael’thas Sunstrider gathered those that remained in Quel’Thalas and renamed them sin’dorei — blood elves. Later, the blood elves would turn to absorbing fel magics to deal with withdrawals from their addiction to the Sunwell’s magical energies. This turned their eyes from blue to green. Physiologically, high elves and blood elves are the same race, they just appear differently. Night elves, Highborne, and high elves are all typically associated and allied with the Alliance. Blood elves are typically associated and allied with the Horde. According to the Warcraft RPG guides, blood elves and high elves no longer have the expansive life spans of their kaldorei cousins. But that isn’t to say they aren’t long-lived. For blood elves, adulthood is reached anywhere from 60-110 years of age, while night elves supposedly reach adulthood somewhere between 110-300 years of age. Middle age for blood elves is listed at around 175 years old, and old age sets in at about 260 or so. According to the source guides, maximum life span for a blood or high elf is somewhere around 360-400 years old. But keep in mind that not only are these ages taken from a guide that is no longer canon — there are also characters in game that defy this age span. Anasterian Sunstrider appears to have been far, far older than 400 at the time of his death — so feel free to adjust these age spans to suit what you’d like to do with your character. Night elves, on the other hand, are a different story altogether. Up until the destruction of Nordrassil during the Third War, night elves were essentially immortal. This did not mean that they could not be killed, of course — it meant that they simply would never die of old age. While the RPG guides state that night elves live until 1,200 years old or so, we have direct proof of the exact opposite. Malfurion Stormrage, Tyrande Whisperwind, Maiev Shadowsong, Shandris Feathermoon — all the familiar names from night elf lore were alive and kicking during the Sundering. That was ten thousand years ago, and these guys don’t show any signs of getting old. That said, it’s safe to make your night elf as old as 10,000 without running into any lore weirdness. If you’d like their story to include the War of the Ancients, by all means, go right ahead. To determine what your night elf, Highborne, blood elf or high elf lived through, you simply have to look back at the timeline and count backward. Any major events within that characters lifespan can be events they were a part of, or simply events that they heard about at one point in time or another. -10,000 The War of the Ancients. This was the era of Queen Azshara and the Highborne, and also the time period in which the Sundering occurred. Prior to the Sundering, all land on Azeroth was gathered into one massive continent called Kalimdor. After the Sundering, the chunks of land that were severed from Kalimdor were given their own names. -9,000 That War wasn’t a quick event by any means. 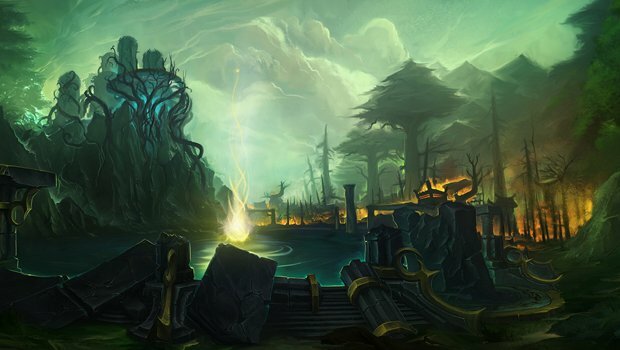 According to the Warcraft timeline, it spanned one thousand years — and at the end of those thousand years, Nordrassil was founded, and druidic study began in earnest. -7,300 This year was the year that the Highborne who remained with the night elves were banished and sent away to the Eastern Kingdoms, never to return. -7,301 to 20 Here’s your blank canvas. Although certain events occurred during this span of time, including the original War of the Shifting Sands, little is known beyond these vague definitions. For you, this means that you’re free to fill your character’s life with whatever events you deem appropriate — because there’s nothing in lore to contradict you. 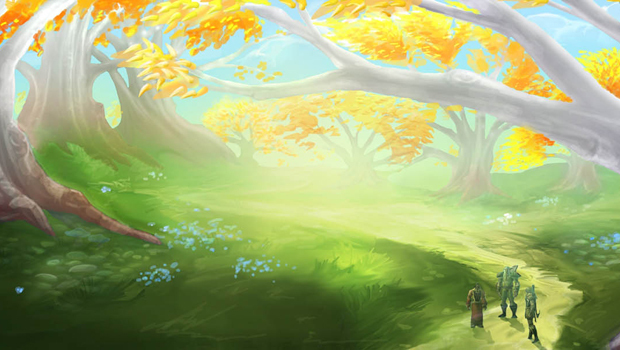 Most night elves were settled at and around Hyjal and Nordrassil. 21 This was the year that the Third War came to an end, and Nordrassil was destroyed. This is also the year that the night elves officially lost their immortality, and finally came into contact with the other races of Azeroth for the first time. 22-25 Although this hasn’t been clearly defined, this period of time is the gap between the end of Warcraft III, and the beginning of World of Warcraft. Somewhere in this time period the night elves officially joined the Alliance, and somewhere in this time period, Teldrassil was created. 25 World of Warcraft officially began here. All expansions and content in the game takes place over the course of the next five years — Mists of Pandaria began in year 30, which makes the events of Warlords of Draenor either year 31 or 32, although no official date has been given. For Highborne, life would have been a little different. Obviously the Shen’dralar were secluded and kept mostly to themselves. Somewhere in this stretch of time, the events surrounding Prince Tortheldrin and his fall into madness occurred. But the life of the Shen’dralar is largely shrouded in mystery — so it’s really up to you to determine how your character lived, and what they lived through. For high elves and blood elves, the timeline doesn’t really kick in until year -7.300, which is when the quel’dorei found themselves banished to the Eastern Kingdoms. -7,300 Exiled to the Eastern Kingdoms, the quel’dorei landed on the coast and attempted to settle. Somewhere in this time period, they began to physically change. -6,800 Quel’Thalas was officially founded, and the Sunwell was created. -2,800 The Troll Wars took place — the high elves allied with the human race. The humans of Arathor agreed to aid the high elves with their battle against the trolls in exchange for lessons in magic. One hundred humans were taught the arts of arcane magic, and shortly after this, Dalaran was formed. -2,700 The Council of Tirisfal was established and the Guardians of Tirisfal were created. At this point, while most high elves returned to Quel’Thalas, some remained in Dalaran. Year 5 The Alliance of Lordaeron was formed, and the high elves sent a small group of elves to aid with the Second War. However, once the Old Horde began torching the forests of Quel’Thalas, the high elves joined the Second War in earnest. Year 8-10ish Somewhere in here, after the end of the Second War, the high elves withdrew from the Alliance of Lordaeron. They claimed that it was the human races’ fault that Quel’Thalas had been touched at all. 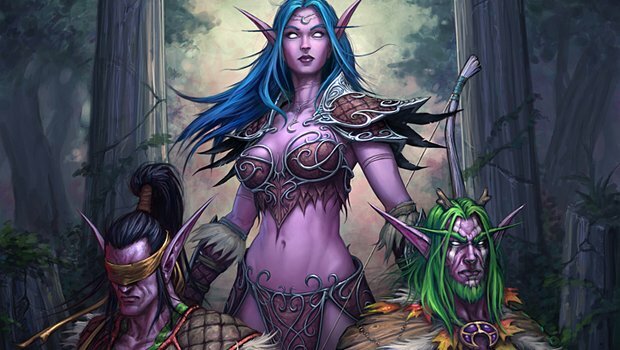 Although most high elves returned to Quel’Thalas, some chose to remain behind — these were the elves that would eventually become the high elves of today’s World of Warcraft, and they were not looked on kindly by their fellow kin, because they had seemingly chosen the rest of the world over their own kind. Year 20-21 During the Third War, Arthas drove the Scourge through Quel’Thalas and the Sunwell was destroyed. This is the year that the blood elves were officially established by Prince Kael’thas Sunstrider, who then left Azeroth in search for a cure for the magical addiction that all blood elves suffered from, leaving Lor’themar Theron to rule in his absence. Year 26 Five years after Kael’thas departed, the blood elves officially joined the Horde. For people that want to try their hand at playing a high elf, this means one of two things — either your high elf was part of the Kirin Tor and Dalaran, or they were part of one of the few groups of high elves that did not retreat back to Quel’Thalas after the Second War. It also means that the destruction of the Sunwell had little effect on your character, and how your character looks upon the blood elves is entirely up to you — they could be disgusted with the way the sin’dorei turned to fel magic to feed their addiction, or they could be sympathetic and mourn the loss of so many of their kin. Here’s what you need to know about playing an elf: What is young to you is going to seem pretty old to most mortal races. Elves out and about wandering the world and adventuring are all presumably adults. Using the RPG ages as a guideline, this means that your elf is anywhere between 60-110 years of age. And that means that your elf lived through all three major wars in Warcraft‘s history — although if you are playing a night elf or a Highborne, the only one they’re familiar with is the Third War, when the humans of the Alliance and the beginnings of Thrall’s new Horde showed up. 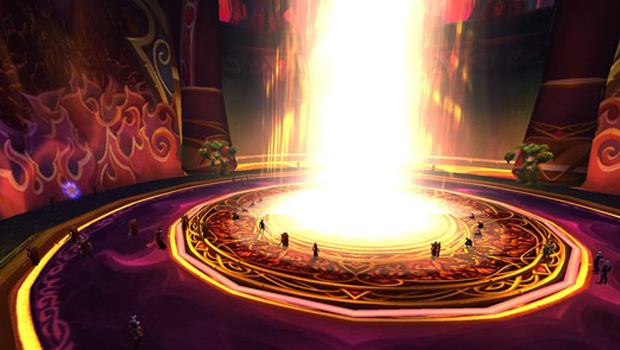 If you’re playing a blood elf or a high elf, the destruction of the Sunwell is still a relatively fresh wound. Although these guidelines are taken in part from the Warcraft RPG, hopefully they give you some kind of foothold into just how old elves can be, and what kind of historical events they might have lived through. Whether they participated in these events is up to you — and with this kind of lengthy life span, roleplayers that choose to work with elves have a lot of room to fill with whatever history they see fit.